Absolutely irresistible! Brand new baby chicks, and right on time for the epic Butter and Eggs Day happy birthday celebrations of Petaluma's 15Oth anniversary. And down at I Leoni on historic downtown's Kentucky Street, there's little question which came first. The chicken or the egg? The egg, of course.... incubated in the window with all the fine china and luxury linens of I Leoni that we modern day Petalumans have grown accustomed to. This fluffy little looker pictured above is named Mary Claire after one of the I Leoni sales ladies. Mary Claire was a premie, showing up a couple of days ahead of plan. She must take after her owner, Teela Ridgeway, who has never been seen to sit down for more than two minutes a day! As well as being widely known for her fabulous Petaluma Gap grown Pinot Noir, Teela is a tireless personal trainer and aquatic instructor and so, it's no surprise that a chick from her rural vineyard estate would be first off the starting marks in the hatching department. 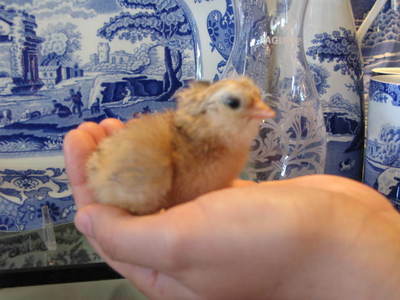 Back in the Gold Rush era of the mid to late 1800s thousands and thousands of Single Comb White Leghorn baby chicks were hatching like crazy on a daily basis. In fact, it is said that nine out of ten Southern Sonoma County residents were fully occupied by the production of some ten million pullets of eggs per year. That's a lot of eggs to be rattling down the railway tracks and steam boated to the bustling Gold Rush metropolis of San Francisco and beyond. And according to local historians, this incredible ag industry rapidly raised this fledgling riverfront city's status from humble hunter's camp to the one-time richest city of its size in America. Amazing what can come from one simple egg shell, isn't it? We're still enamored with the magic of poultry reproduction in these parts. 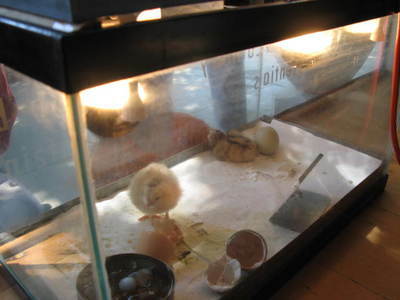 There's nothing quite as pure as a little kid's squeal of delight, standing in front of a downtown store window and watching a chick hatch before his very eyes. Petaluman Lyman C.Bryce actually invented the world's first practical chicken incubator just a mile or two away from baby chick, Mary Claire's birthplace in I Leoni's window! This fantastic idea of Bryce's brought the international spotlight to Petaluma as home of the world's first and only chicken pharmacy. Be sure to stop by and say hi to Mary Claire and her new-born room mates at I leoni's during the Butter and Eggs Day parade which starts at high noon this Saturday, April 25th. If antique hunting is more of your thing, then Sunday's Downtown Antique Fair is a must. Mix and match a few vintage treasures with some of the super table settings in stock at I Leoni, a modern-day china emporium with the gracious service, quality and style of Petaluma's rich and evocative history. 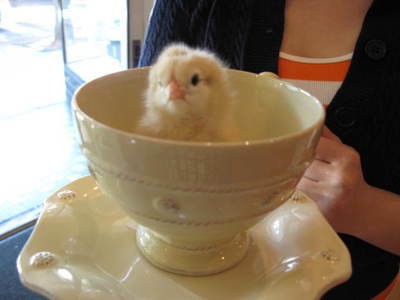 I love the chickie in the teacup! Too cute for words! reminds me of the Italian summer street festa tradition of selling baby chicks dyed pink and orange and all sorts of pretty colors!